Japan has been on my country wish-list for some time now, but seeing as it’s one of the most expensive place to live in the world, I’m going to hold off a visit till I a) earn more money or b) get the much touted but ever-so-elusive press trip to the city. 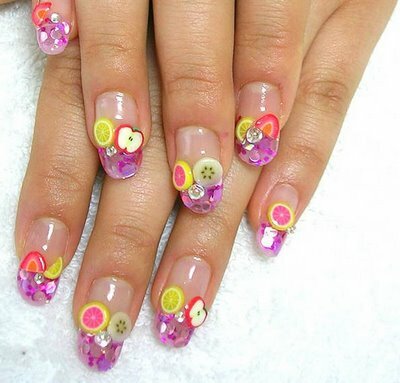 I’d love to go to the Ahikabara quarter, and get dolled up like a Harajuku girl, but extending Eastern style into nails is just, well, pretty icky actually. 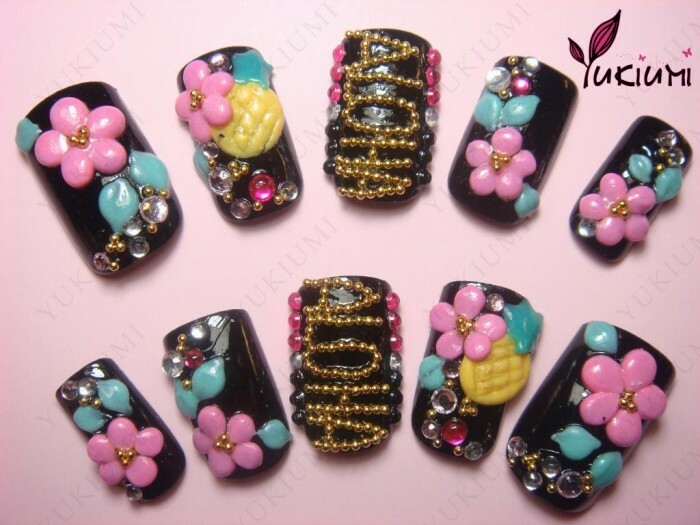 Like, who would actually want Hello Kitty or a fruit basket on their talons? Remember these are popular with everyone- not just pre teens! They’re not cheap either- you can expect to pay around $45 a set! Still , surely that’s a small price to pay for Disney-esque fingers? Only in Japan ehy?! 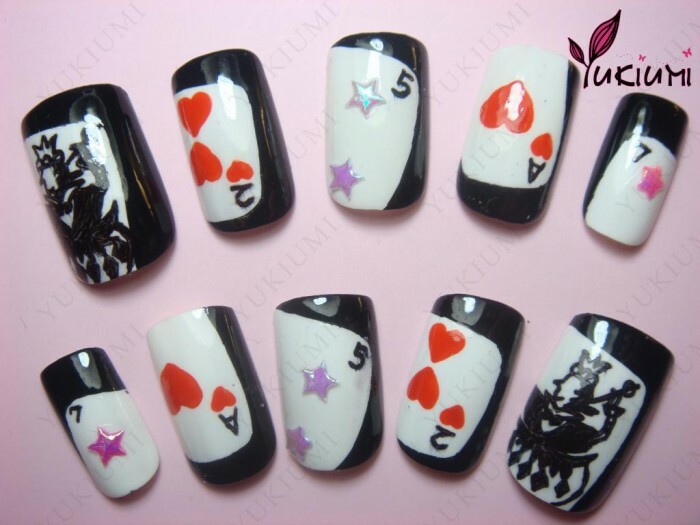 For nails though they look pretty well done, but i would never dare wear them! 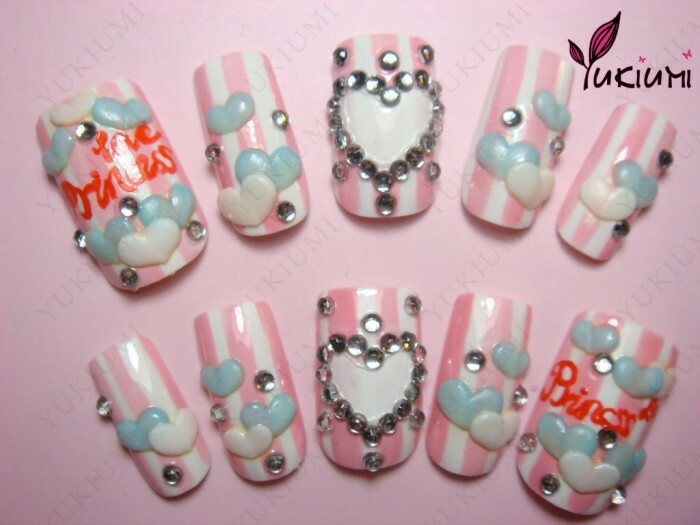 i love these nails and i love your name it my name to (no lie) love these i wish they wer here!!!! 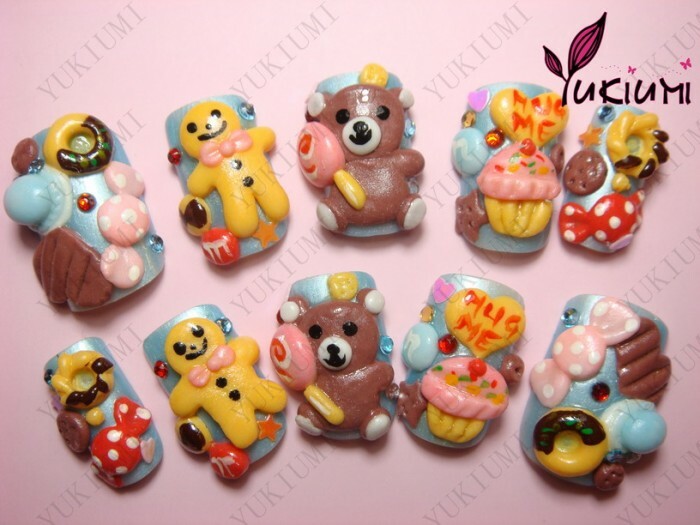 They have many gorgeous designs at affordable price!